Has a chemical structure similar to the skin’s own sebum giving it natural moisturising and healing properties and making it suitable for all skin types. Jojoba is unusual among carrier oils as it is technically not an oil at all, but is in fact a liquid wax. Due to this, its molecular structure is quite different to other oils and means that it is at less risk of deterioration. Jojoba oil has a chemical structure similar to the skin’s own sebum giving it natural moisturising and healing properties and making it suitable for all skin types. Characteristics Although first recorded in Mexico in 1822, it was not until the banning of whaling in the 1970’s that research began into Jojoba oil. 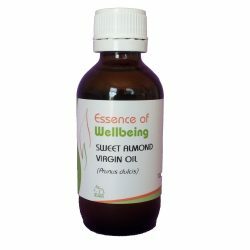 It was though to be a good substitute for sperm whale oil which was extensively used in cosmetic preparations. Jojoba is unusual among carrier oils as it is technically not an oil at all, but is in fact a liquid wax. Due to this, its molecular structure is quite different to other oils and means that it is at less risk of deterioration. Jojoba oil has a chemical structure similar to the skin’s own sebum giving it natural moisturising and healing properties and making it suitable for all skin types. – skin care – makes a good stand-alone moisturiser for face or body or can be used in a variety of skin care preparations, for all skin types.